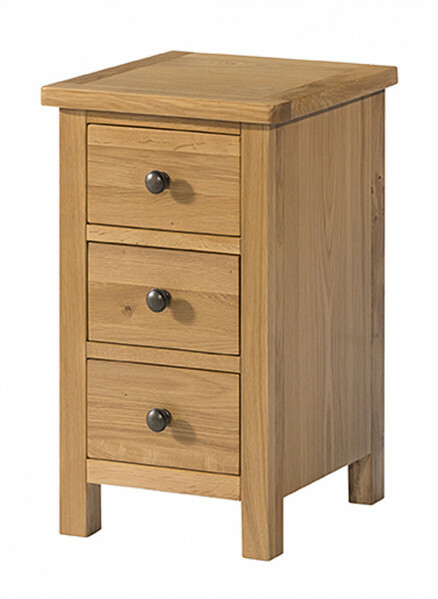 A modern light oak collection, Burford Oak is available in bedroom, dining and occasional. Width: 340mm Height: 575mm Depth: 350mm Crafted from North American White Oak. Supplied with both a metal and wooden knob for a varied look. Finished in a protective light lacquer. With competitive prices and smaller items, this range is a perfect entry level collection. Whilst still offering strong quality construction and good choice of products. Each item is supplied with both a metal and wooden knob, offering a varied look.